Choosing the right furnace for your home is crucial. The right system will not only keep you comfortable, it can lower your utility bills. Today’s furnaces are far more efficient than older models. There isn’t one correct universal unit that can be recommended. A visit to your home will allow us to help you choose the model that is correct for your specific home. Insulating and caulking – Insulate and caulk your home to keep heat in during the winter (or cool air during the summer). Heating or cooling a poorly insulated home is like pouring water into a leaky bucket – you’re throwing money away. Use a programmable thermostat – The Oregon Department of Energy recommends programmable thermostats for all central heating systems. They can be used with most types of heating systems, and allow the temperature to be automatically reduced at night or when on one is home. For each degree Fahrenheit you set your daily temperature back (for 8-10 hours), you can save about 2 percent on your annual heating bill. 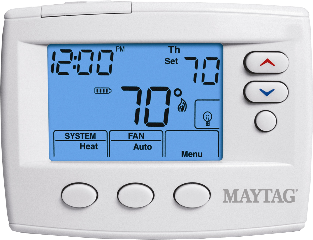 During winter, set your thermostat to 68 degrees F. during the day and 60 degrees F. at night or when you are not at home. Change your filters regularly - Check your user’s manual for specific schedules. Dirty filters can damage your furnace by limiting airflow. Don’t skip your annual cleaning – Manufacturers recommend that you have your furnace professionally cleaned and inspected each year in order to prolong the life of the furnace and ensure that it is working correctly when you need it most. Don't wait until it breaks down to call for service.